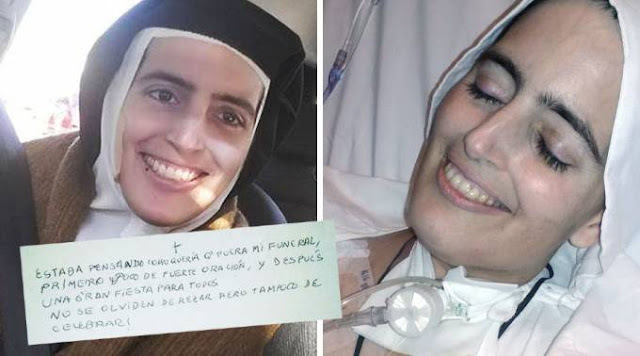 Sister Cecilia Maria lived in the Monastery of Santa Teresa and San Jose, Santa Fe, Argentina. 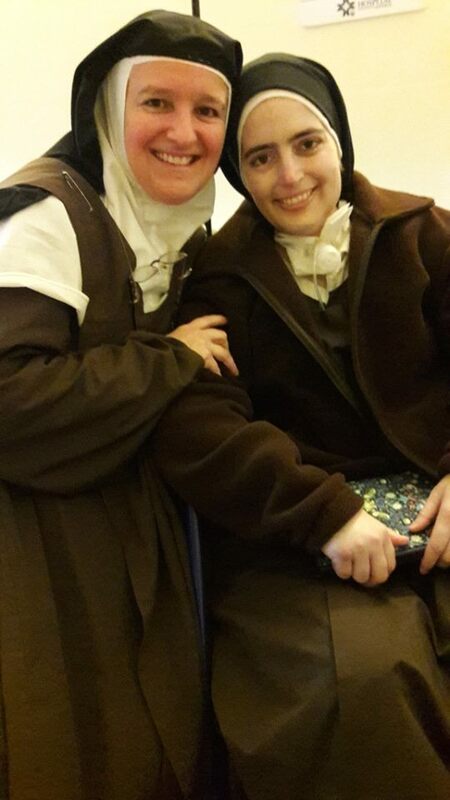 At 26 she made her first vows as a Discalced Carmelite and reaffirmed her vows in 2003. In January she was diagnosed with tongue cancer then it metastasized to the lungs. This caused her death at age 43. "I was thinking how I wanted my funeral. First pray, then make a big party. Do not forget to pray but also to celebrate!. " Dear brothers, sisters and friends: Jesus! Just a few lines to let you know that our very dear little sister has softly fallen asleep in the Lord, after an extremely painful illness, which she always endured with joy and surrender to her Divine Spouse. We send you all of our affection, thankful for your support and prayer during this time that is so sorrowful and yet also so marvelous. We believe that she flew directly to heaven, but all the same, we ask that you do not fail to pray for her. From heaven, she will reward you. A warm embrace from your sisters of Santa Fe.